Even tubeless tires can be fixed with an inner tube. 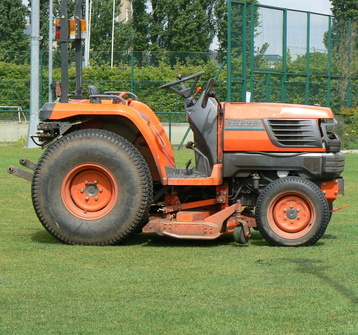 Most lawn tractors have tubeless tires. However, when a tire goes flat, rather than replace it entirely, you can use an inner tube to repair it. After the tube is properly set up on a rim, it can be pushed into the original damaged tire.